Camp for €18,- a night at Campsite Ulmbachtalsperre in low season with CampingCard ACSI. Campsite Ulmbachtalsperre, located in Greifenstein (Hesse), is a campsite with 80 touring pitches and 250 year round pitches. With your CampingCard ACSI you can camp on one of the pitches during the following periods: 02-05-2019 - 29-05-2019, 01-06-2019 - 06-06-2019, 25-06-2019 - 05-07-2019, 21-08-2019 - 31-08-2019 and 06-09-2019 - 30-09-2019. At this campsite you can not only use your CampingCard ACSI for inexpensive camping, you can also use your ACSI Club ID (as an alternative ID). Camping grounds surrounded by rows of trees, spacious pitches partly located on the reservoir. Campsite close to the A45. 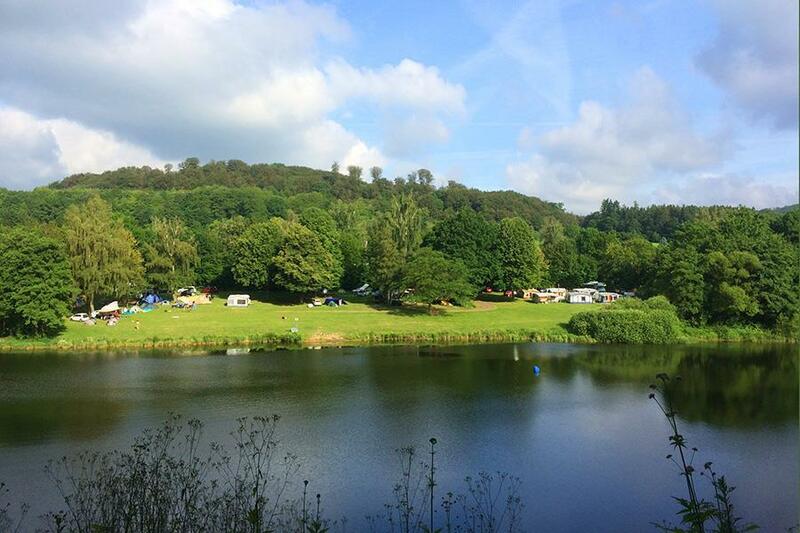 Would you like to book Campsite Ulmbachtalsperre or request more information? You can do both using the information below. A45, exit 27 Herborn-Süd dir. Greifenstein, Mengerskirchen, via Beilstein dir. Biskirchen. Site located between Beilstein and Holzhausen. A45 exit 28 Ehringshausen, via Katzenfurt, Holzhausen. In Holzh. and Beilst. follow signs. CampingCard ACSI will send your information request to "Campsite Ulmbachtalsperre".